As we age our hair naturally thins and sometimes stress can promote hair loss as well. You are not alone. Many of us look for solutions to help improve hair loss, especially if it’s highly noticeable. That is why there are several products on the market promoted to stimulate hair growth. 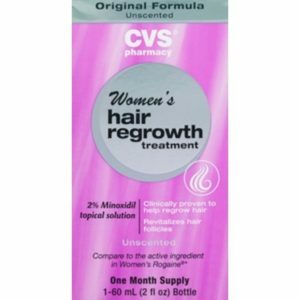 CVS Women’s Hair Regrowth Treatment is marketed to revitalize hair follicles and helps address the look of thinning hair. 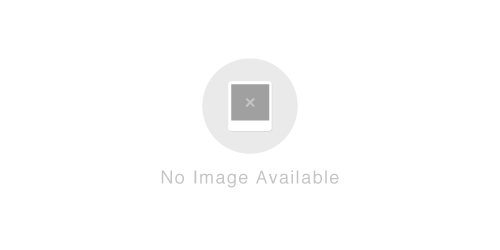 This product contains the FDA Approved formual for hair regrowth in women. It contains Minoxidil 2%, which has been clinically shown to stimulate hair regrowth. Read enclosed leaflet before use. Part your hair and apply with dropper one mL 2 times a day directly onto the scalp in the area of hair thinning/loss. Using more or more often will not improve results. Continued use is necessary to increase and keep your hair regrowth, or hair loss will begin again. Before use, read all information on carton and enclosed leaflet. Keep the carton. It contains important information. Store at controlled room temperature 68 to 77°F (20 to 25°C). Keep tightly closed. Using the dropper applicator: 1. Remove cap by pushing and turning in direction of the arrows on the cap. 2. Squeeze the rubber bulb and insert the dropper into the bottle. Release the bulb, allowing the dropper to fill to the 1mL line. If the level of the solution is above the 1mL line, squeeze the extra amount back into the bottle. 3. Place the tip near the part of the scalp you want to treat and gently squeeze the bulb to gradually release the solution. To prevent the solution from running off the scalp, apply a small amount at a time. 4. After each use attach the dropper to the bottle to make it child resistant by turning it clockwise until tightly closed. Active Ingredients: Minoxidil, USP 2% w/v. Inactive Ingredients: Alcohol (60% v/v), Propylene Glycol, Purified Water. CVS Women’s Hair Regrowth Treatment is sold online for less than $40, but does not offer Buy 2, Get 1 Free specials. CVS Women’s Hair Regrowth Treatment is made in the United States and has been clinically proven to help regrow hair. To see how CVS Women’s Hair Regrowth Treatment compares, refer to the grid below.